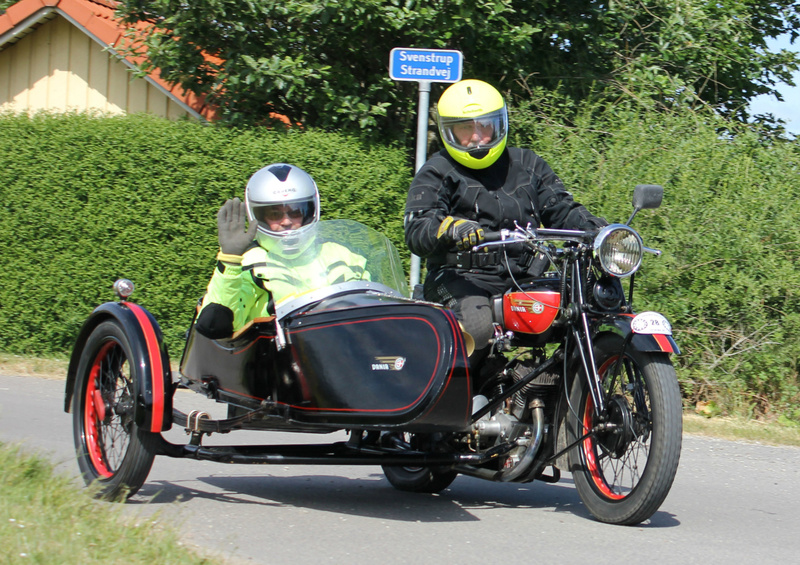 I am to start in a Rally in Norway on my Dania together with my freind Helge Sahl in the sidecar. David Axelsson with his 1100cc sidecar racer. 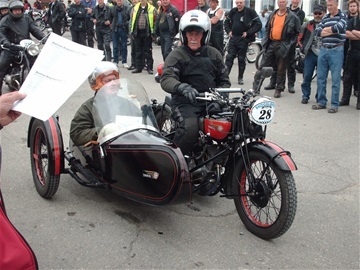 Danish Champion several times in the sidecar class as late as in the fifties. My Dania sidecar combination with a 750cc JAP sidevalve engine. 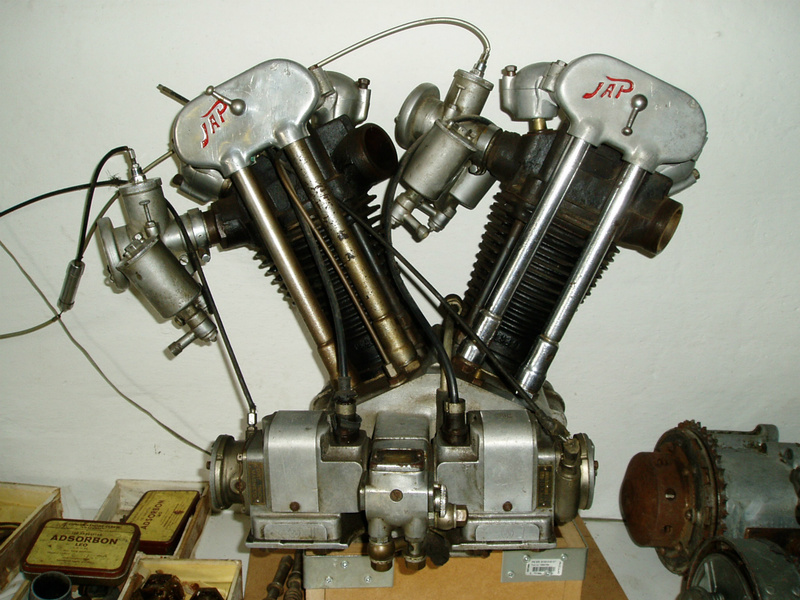 The 1100cc JAP racer engine used by David Axelsson. 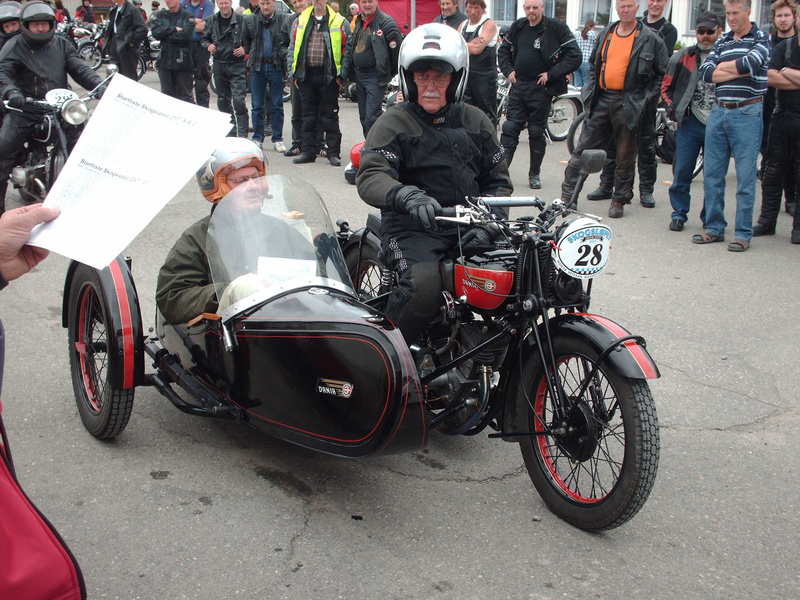 I am on my Dania in a Danish Rally in 2012, with my son Søren in the sidecar. The 680cc Dania with a top valve JAP engine. One of the two remaining Motorcycles. 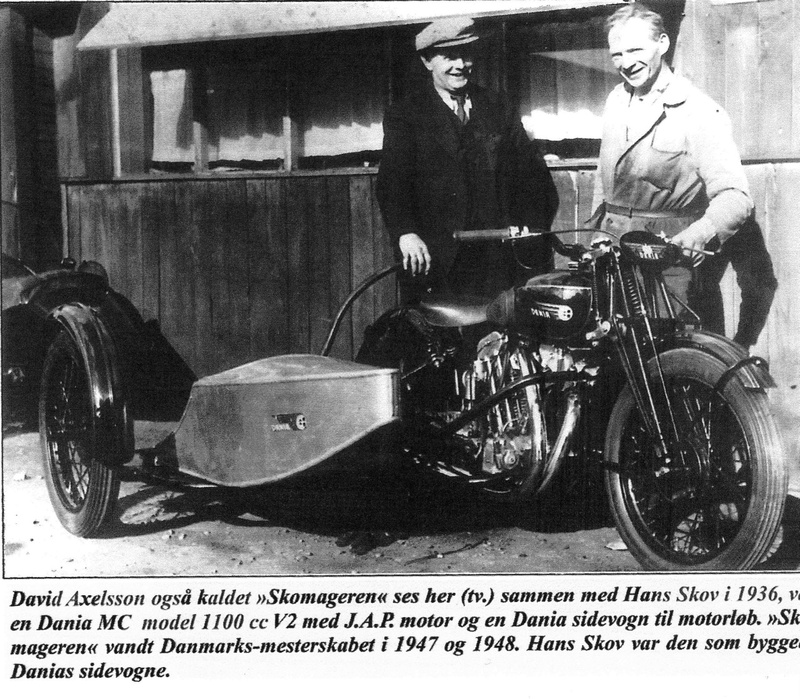 The story about the Danish motorcycle “Dania”, a Brough Superior look-alike. A former Danish Motorcycle TT racer Mr. Ib Krøger Christensen. He had lots of success on racetracks in late Twenties. 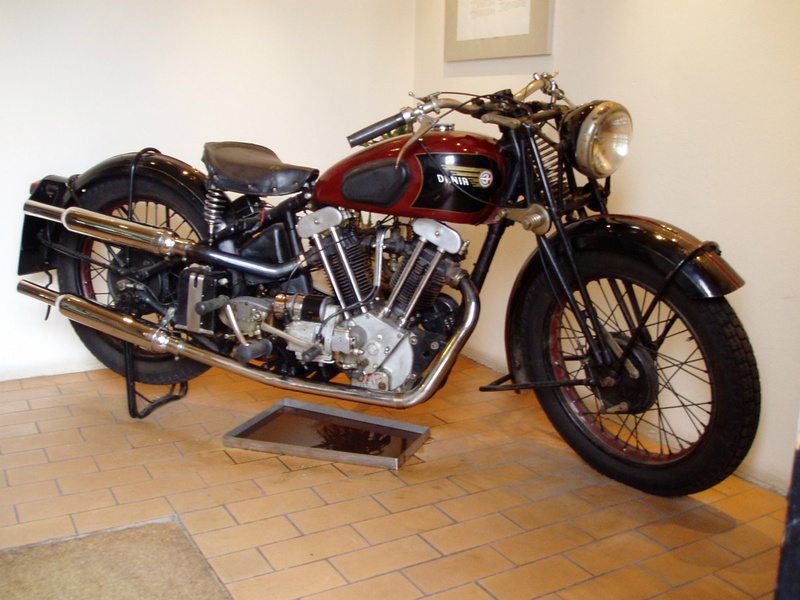 But in the early thirties, he want to build a Danish Motorcycle as a Brough Superior look alike. He bought JAP engines, Albin gearboxes, Webb girder forks and Lucas electric systems. The rest, frames, wheels i.e. was made in Copenhagen Denmark. 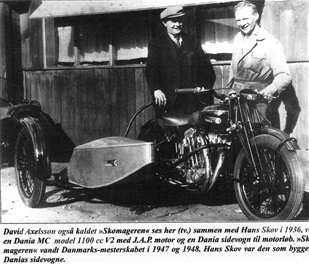 He presented his “Dania” motorcycle on an exhibition in Copenhagen in the mitt thirties. 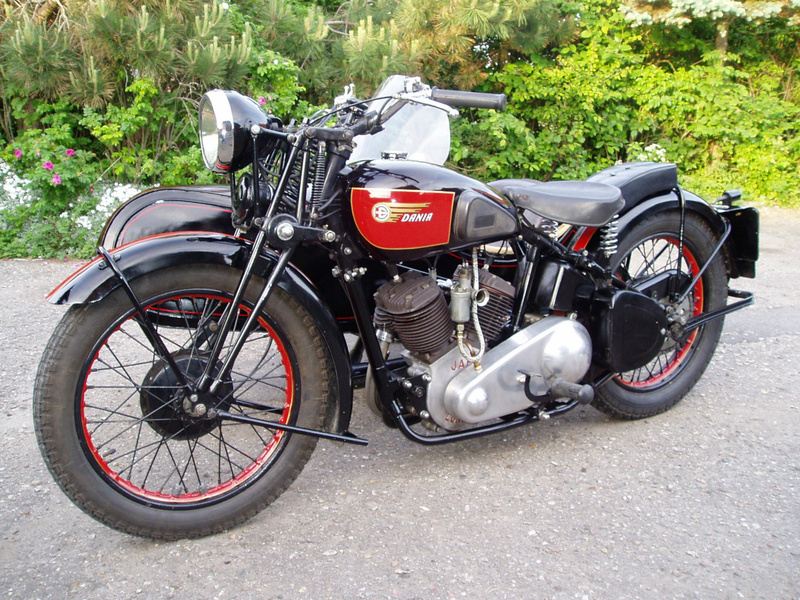 I have found that he manage to build 12-15 motorcycles and several hundred sidecars, before his company was bought of another Danish sidecar producer in 1937. And this producer was only interested in sidecars and not in the motorcycle production. So the Dania motorcycle production stops then in 1937. One Dania was build with a 1100cc top valve JAP engine, and raced by David Axelsson in the sidecar class as late as in the fifties and was Danish and Nordic Champion several times in that period. In many years the Dania Motorcycle was forgotten. But around year 2000, a motorcycle collector in Måløv a city near Copenhagen died, and in his motorcycle collection a Dania 750cc side valve motorcycle was found in pieces in a box and all pieces was there. I bought the Dania motorcycle and a Dania sidecar to. 2-300 work hours later it was ready for vintage Rallies and tours. I took even part in a Vintage Rally in Norway few years ago. I went with a friend in the sidecar packed with luggage for a week to Gjøvik in Norway on the bike, took part in the rally and went back to Denmark on the bike without serial problems. Today we only know about two Dania Motorcycles left. One Dania with a V twin 680cc top valve JAP engine, in a company in Copenhagen with relations to the former sub supplier of frames and sidecar for Dania motorcycles Bach in the thirties. Now used as show in the company reception. The other one is mine Dania with a side valve 750cc JAP engine. The frame has serial number 5, it is mounted with a Dania sidecar, with serial number 39. I enjoy drive on my Dania and try to keep it in working conditions for the future.